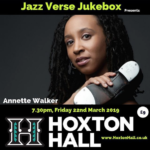 In February 2019 I was invited as a guest artist to Jumoké Fashola’s Jazz Verse Jukebox at Hoxton Hall (London, UK) and was thrilled to close a fabulous evening of poetry and jazz. 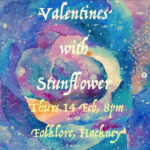 A lovely gig at Folklore with my music friend Devaki Thomas and her indie band with a psychedelic roots rock sound from southeast London Stunflower. I’ll be teaching intermediate to advance level tap dance classes as part of the Discover Jazz Dance programme of Dance Physics at Lewisham Southwark College. Dance Physics is a new community based initiative aimed at getting all of Lewisham moving and dancing. 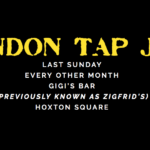 Two additional Wed night TAP DANCE classes at Dance Attic Studios in Fulham, London (England, UK). Is it possible for me to learn a piano Latin jazz number, based on a Oscar Peterson version, and two songs in time for the debut performance of a new tap company? How about trying my hand at compering for a circus cabaret? Now seems like a good time to take on my first ever feature film job that happens to be physically demanding. And while I’m at it, why not throw in a couple of special tap dance gigs? Let’s not forget about learning and playing the keyboard in a band for a music gig at the RFH. All in just over one month? Go! 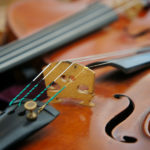 Lo and behold I have parts to learn to play in the string orchestra, to be performed at the Royal Festival Hall on Friday 20th June. My first time playing in in this iconic hall. Excited much? You betcha! 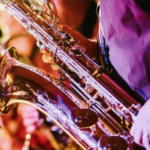 In this show at CHELSEA space the London legacies of singers Adelaide Hall and Elisabeth Welch, who both had been in Paris with ‘La Baker’ are re-united with Jazz Tap legends Chuck Green and Honi Coles.